How to Start an eBay Business on a budget! It’s Friday and from now on – Friday will be our Q&A day! 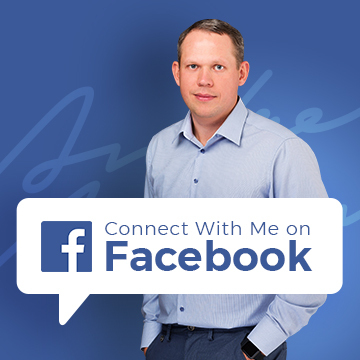 Every week I receive hundreds of emails from my readers, with questions on various topics – all of which I answer personally. But quite often, these answers would also benefit many people in similar situations so that’s why I’ve decided to start these public Q&A posts. So if you have a question you’d like a more in-depth answer to, which will be published on this blog, then please get in touch via this contact form. I really want to start an eBay business but I don’t know anything about it. I have been trying to look for a wholesalers in Manchester but every one has said don’t trust them. I don’t have a lot of money as I am unemployed and disabled. I am 54yrs old and I have a very young family to take care of so I really can’t afford to through my money away so I just want to start with something cheap to buy and maybe move up to better things when I make some profit. And I would also like some help getting started on eBay. I have a normal eBay account and sell the odd thing from home but that’s as far as I can go. I have bought some of Oliver Goehlers stuff but what a load of tosh lol a complete waste of money and I can’t afford to do that again. So could you help with any advice such as wholesalers in Manchester or Liverpool as I live in Wigan in between the two of them. Thanks for sending me your story and questions. Your situation is certainly not unique, and I receive many similar emails from people all around the world on a weekly basis. Okay, so you say you have a “normal eBay account” and already sell some stuff occasionally. That’s a good start (you can’t really say that you don’t know anything about eBay as you’re already doing some selling)! Chances are your selling technique and listings are poor, so let’s start with that. Check out this free guide on how to build a perfect eBay listing and also this free video course – Fix My Auction. These two resources should help you to improve your listings significantly, get higher prices and just sell more in general. Once you have mastered listing creation, just start selling all that you can from your house – like old DVDs, unwanted gifts and so on. Basically anything you don’t want – list on eBay! This really is the best method when starting out as not only do you gain experience, but you also grow your feedback AND make some money to invest in stock. When you run out of items to sell, take a look at this super simple and easy to implement eBay business model which revolves around buying stock on eBay directly. You can start with as little as £50 but ideally you’ll want £100 or £200 set aside for stock. At this point you’ll already have an established eBay account with at least a few dozen feedbacks and a good knowledge on how to create listings that SELL! Follow this simple concept for at least a few months and try to double or triple your initial investment. Once you do this, you’ll have £300-£500+ to start buying in wholesale or even do some importing. Firstly you should check out this guide on how importing works and then by using Terapeak, try to identify some potentially good products you could buy in bulk. 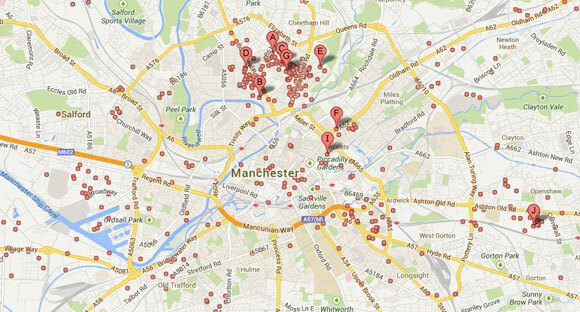 Now, as for local wholesalers based in Manchester or Liverpool – you can easily find these using The Trader magazine AND Google Maps – just do a search for “wholesale Manchester” and hundreds of suppliers will come up on Google Maps. Many will have phone numbers and website addresses published too which you can use to further research their offers. A word of warning though – such UK based wholesalers are mostly used for Brick & Mortar shops, market stall traders and other small offline retailers. It will be difficult to compete on eBay with products sourced from these places, simply because their pricing won’t be that competitive. They act as middle men – importing from China, adding their mark-up (which is not small) and then selling on to other businesses. Importing is really not that complicated, especially if you do small orders and send goods via a courier company. Customs clearance and taxes will be taken care of for you and all you have to do is pay the tax invoice when your goods arrive in the UK. With unbranded goods, most eBay sellers import them directly from China, cutting out the wholesalers. In most cases, that’s the only way to stay competitive. This is a totally new level and you’ll have to learn a lot more about how to avoid scams, how various shipping and payment methods work and so on. You can check out this guide on how to filter out scams on Alibaba (as that’s really the best platform to start with). IMPORTANT!!! When you import ANYTHING from China, stay away from branded goods, goods with logos on them, goods with licensed characters on them (Disney etc.) – those will all be FAKES and illegal to buy and re-sell. China is ONLY good for un-branded items, period. This is a quick overview on what steps you should take to start building a successful eBay business. There are of course many more small details I can’t cover in this post but if you’re looking for a complete guide, check out my Easy Auction Business video course. 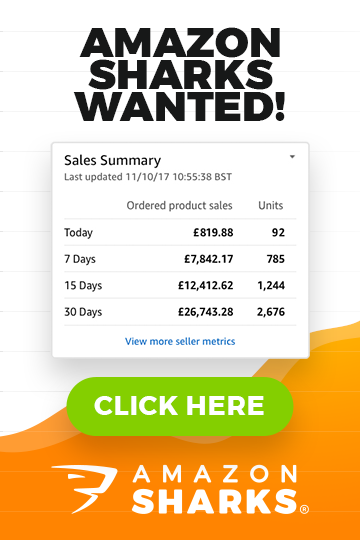 It covers all these steps in greater detail, will help you with branding and listing issues, show you how to use Terapeak for proper eBay research, cover many more product sourcing techniques and so much more! EAB really is the only eBay course you’ll ever need to buy! But if you can’t afford that, follow the basic guidelines I have given you in this post and just STICK WITH IT! As you’re new to the eBay world, it will take time to figure everything out, but remember – you’re now at your worst position and as each day goes by you’ll only get better and better. Use Google and YouTube to learn the various elements of eBay selling, check out other posts on this blog, ask questions on The Wholesale Forums and soon enough you’ll become educated on this topic and start showing real signs of success. Good luck with your new business venture John, I look forward to hearing your success story! I have one question: Do you have any advice for people located outside the UK? Shipping costs of importing goods from china to location outside the UK and then again the costs of shipping to the customers in UK are just too high. Maybe some kind of drop-shipping method from drop-shippers / wholesalers in UK? Importing/wholesale can still be done if you’re based in a EU country and deal with small, light weight items you can ship cheaply via your national post service.